Islamabad: One of China’s underwater robots, the Haixing 6000, recently set a national depth record for a Chinese remotely operated vehicle, by diving 6,001 meters below sea surface during its first research expedition, scientists told Xinhua. Haixing 6000 was developed by a team at the Shenyang Institute of Automation under the Chinese Academy of Sciences. It is the first remotely operated underwater vehicle built by China that is capable of diving 6,000 meters, said Li Zhigang, chief scientist of the team. It reached a maximum depth of 6,001 meters, and completed a series of underwater tasks in three hours, including deep-sea observation, biological research, soil and water sample collection, and a simulative black box search. At 2,000 meters, the underwater robot completed three sample collections in different sea areas in a single day, obtaining a total of nearly 400 kilograms of rocks, of which the largest single rock weighed 61 kilograms. Such an operation also verified the robot’s capabilities and reliability. 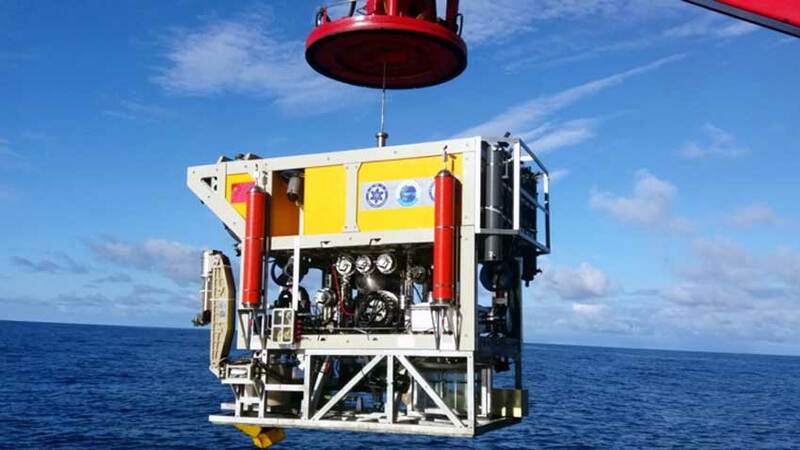 The name “Haixing” is Chinese for “starfish.” According to scientists, the Haixing 6000 has conducted nine dives at different depths during the research expedition, which finished on Friday, showing that China has made progress in the development of underwater vehicle and deep-sea exploration.